Whats a pond without fish? 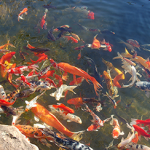 Visit Nelson Water Gardens to find a huge selection of fish for your pond. 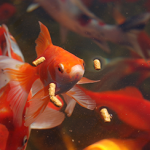 It doesn’t matter what size pond you have, we’ve got the fish you need! 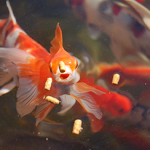 We always carry an assortment of Koi, Goldfish, Japanese Fantails, Shubunkins, Comets, Sarasa Comets, Butterfly Koi, and Rainbow Dace. We also carry Plecostomus* and Chinese Hi-Fin Banded Sharks* to help control algae in your pond. 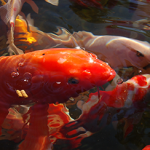 Our experts will help you select the right fish for your pond. 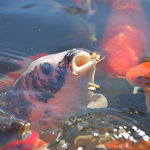 Check out our “Fish Man” Blog for informational articles on all things fish!